Challenges related to energy and climate change are very closely linked. Success in tackling the energy challenges will contribute to resolving climate change issues. At SINTEF Energy Research we are working with tomorrow's energy systems and thus also technology for a better society. In 2017 our research has contributed in fields such as smarter energy systems, more robust electrical power technology, an energy efficient industrial sector, and has brought us a step closer to full-scale CO2 management. The sum total of all this is a more sustainable energy system and better approaches to addressing climate change issues. During the last year, we have welcomed many interesting visiting delegations, including politicians, industrial concerns and public sector administrators. We often invite them to our key facility – the SINTEF Energy Lab. Our experience is that people are impressed by what we have achieved here. Indeed, the Norwegian Energy Minister has said that "it is here we create the future". Last year we succeeded in the Norwegian competition for research infrastructure funding, both for the development of smart power grids, and for a new laboratory for researching into energy efficiency in industrial processes. 2017 saw the opening of the new ECCSEL laboratory at the thermal power generation centre at Gløshaugen, in collaboration with our most important partner, NTNU. Research activity takes place not only within the building, but also on its roof, and at 70 metres below ground level. Every year we welcome a group of young researchers to work with us during the summer. These are competent students who work on a variety of projects together with members of our permanent research staff. In 2017 we created a new record with the announcement of as many as 40 summer research jobs. I think it's incredibly inspiring to observe the effort and talent among these young researchers. 2017 was not only a good year financially, but above all an important year for research. You can read more about this in this annual report. SINTEF Energy Research is a research institute that generates value for its clients, both in Norway and worldwide. We are part of the SINTEF Group, which is one of Europe's largest independent research centres. SINTEF is an independent and non-commercial organisation. 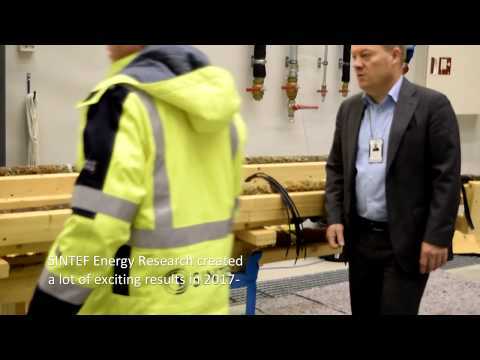 SINTEF Energy Research has a pronounced research profile and is involved in six of the Research Council of Norway's Research Centres for Environmentally-Friendly Energy (FMEs) in partnership with industry and other research institutions. The institute maintains a strong position in the EU's Framework Programme for research, and participates in an extensive range of projects linked to issues such as energy planning, energy efficiency, hydropower, wind-power, CO2 transport and storage, and cleaning technologies for gas and coal-fired power plants. The high-level technical profile developed by the institute, via activities such as assisting the Norwegian Parliament to achieve its cross-party Climate Change Policy Consensus, means that the institute's researchers are now at the forefront of European energy research. 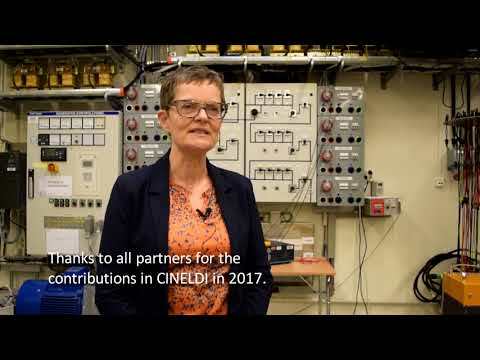 In 2017, for the eleventh successive year, we welcomed researchers to work at SINTEF during the summer. 2017 was a record year with as many as 32 researchers selected from 250 applicants. SINTEF Energy Research acts as host institute for three new Centres for Environmentally-Friendly Energy Research (FME). 2017 was their first year of operation, and everything is well under way. In the following you can read summaries by the managers of the CEER centres about how the year has developed.tt. In order to achieve our climate change targets, reduce costs and boost industrial efficiency, we need more efficient energy systems, both in Norway and worldwide. 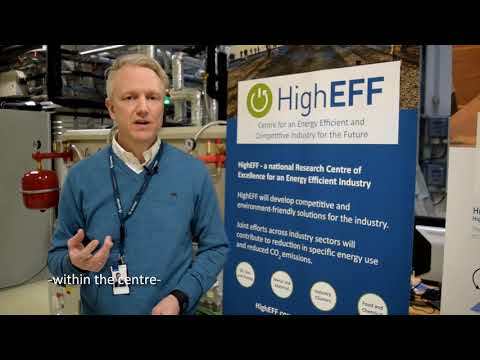 HighEFF aims to develop know-how and technology that will promote more energy-efficient, competitive and environmentally-friendly industrial processes at equipment, factory and regional scales. Read more about the centre and its achievements in 2017 in the annual report. Research at the NCCS centre builds on the work carried out by the BigCCS CEER, which completed its activities in 2017. It's main task is to facilitate research, development and the rapid implementation of CCS technology. 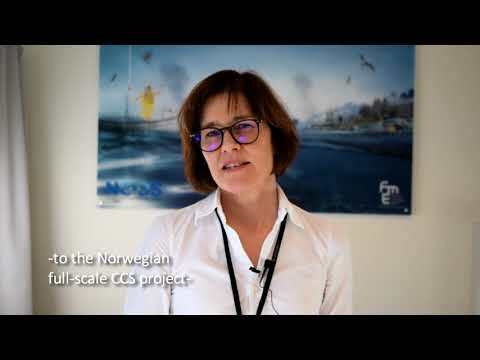 NCCS carries out research across the entire value chain, from the capture and transport of CO2 produced in Norway and Europe, to its ultimate storage in reservoirs on the Norwegian continental shelf. ead more about the centre and its work in 2017 in the annual report. From 2009-2017 SINTEF Energy Research hosted four FMEs: NOWITHECH, CEDREN, CenBio and BigCCS. Since 2009 they have contributed to numerous innovations and increased knowledge about wind power, environmental design, bioenergy and CCS, as well as laying the foundation for new FMEs. Below, you can read more about each FME and what they have achieved over the past eight years. Trondheim: Norwegian researchers believe that it will be possible to make environmentally-friendly snow at above-zero temperatures. Now they have the backing of Europe and the skiing industry in their bid to save the sport from climate change. It is amazing how fast hydrogen (H2) has been gaining momentum again. The so-called “hydrogen hype” about 10 years ago was based on good intentions and widespread misconceptions. When hydropower reservoirs traps organic matter, it leads to higher local greenhouse gas emissions. But the emissions are not increased but displaced. A new tool calculates the real greenhouse gas footprints of reservoirs. This week, scientists from all over the world meet in Trondheim to learn about the technology of CO2 capture. On Monday 13. March, a delegation of Rectors from The Finnish Universities of Applied Sciences and members of Finnish UAS Rectors Conference, together with Academic Trade Union Leaders and representatives from the Ministry of Education and Culture, visited SINTEF Energy Lab.